When we began our relationship with Johnson O’Connor Feron & Carucci, we knew there was something special brewing. This accounting firm, with the personality of an ad agency and the expertise of the Big Four, was ready to mix things up in their industry and we were happy to help make that happen. With a fresh look and an awesome new site, Johnson O’Connor is poised to continue their growth—with a brand that represents their dynamic, unique personality. As an agency, we aim to forge strategic relationships with our clients that push both our team and clients to develop first-rate creative. And our partnership with Johnson O’Connor was just that: a truly collaborative partnership that allowed us to do great work for a great client. 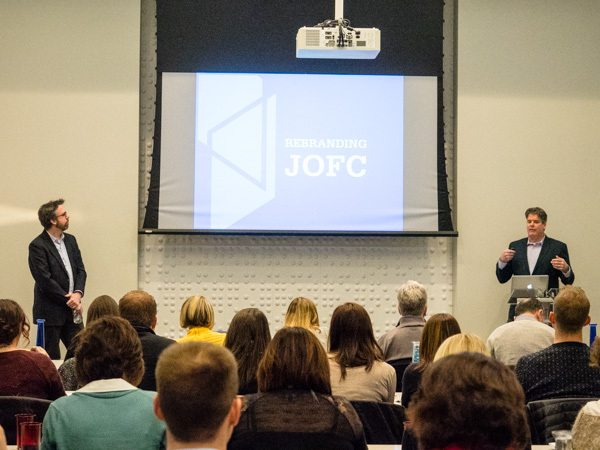 We were excited to present the new brand at Johnson O’Connor’s firm day in early January, and proud to display the work that was borne of our collective efforts over the course of 2015.